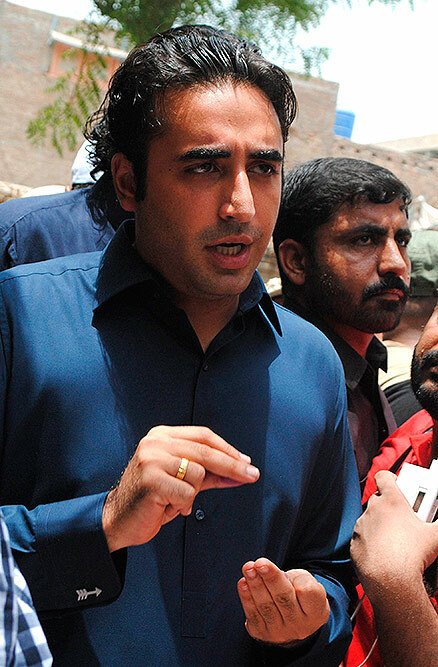 Bilawal Bhutto Zardari, leader of Pakistan Peoples Party, arrives at a polling station to cast his vote in Naudero, Pakistan. 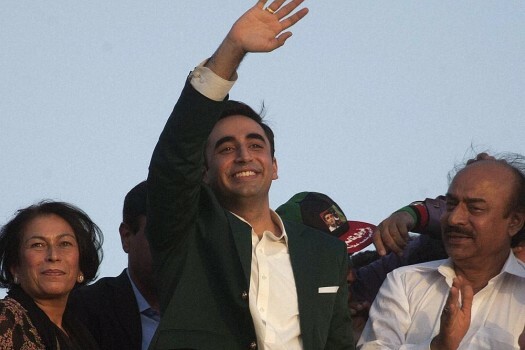 PPP Chief Bilawal Bhutto Zardari campaigns in Peshawar. The party is a pale shadow of its former self. 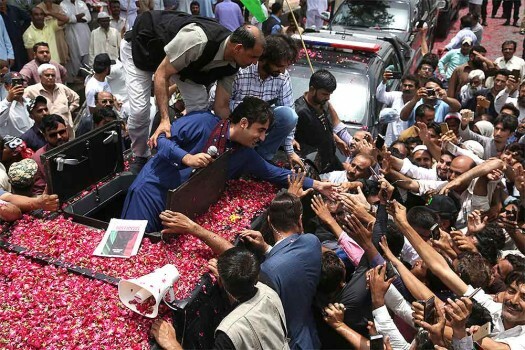 Bilawal Bhutto Zardari, center, leader of Pakistan Peoples Party meets with his party supporters during a rally for the July 25 general elections, outside Karachi, Pakistan. 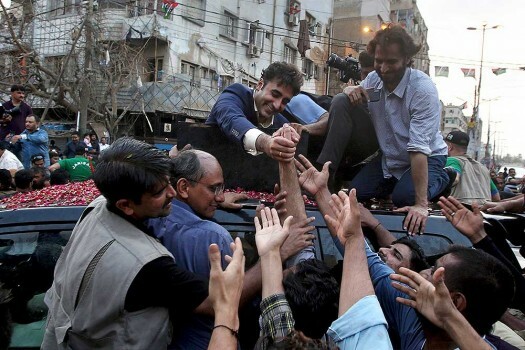 Bilawal Bhutto Zardari, center, leader of the Pakistan Peoples party shakes hands with supporters during a rally for the July 25 general elections, in Karachi, Pakistan. 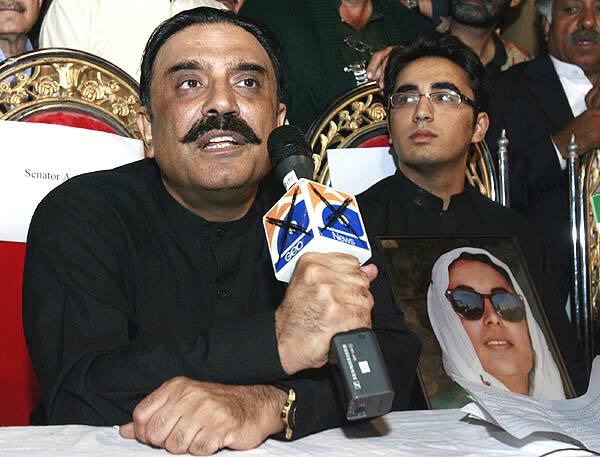 Asif Ali Zardari and Bilawal Bhutto commemorate their party’s founder, 2017. 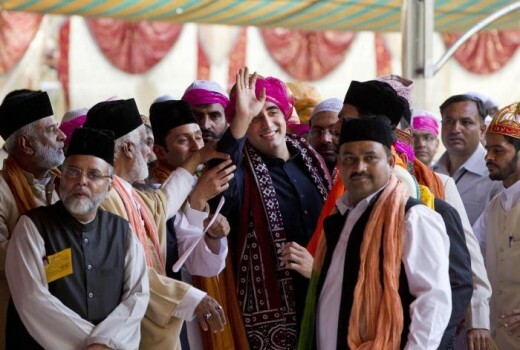 Bilawal Bhutto attending Diwali celebrations. 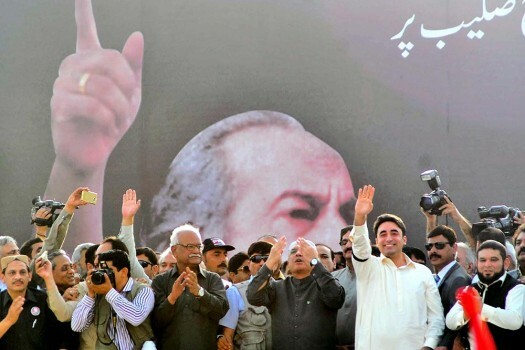 Bhutto was killed along with 21 people in a gun-and-bomb attack outside Rawalpindi's Liaquat Bagh during an election rally on December 27, 2007. Around 85%, 2,870 out of 3,355 contestants have failed to obtain even the mandatory 25% of the total votes. 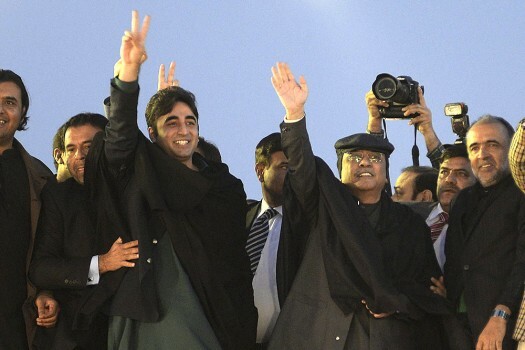 For the first time in 2013, a civilian government in Pakistan completed its five-year term. 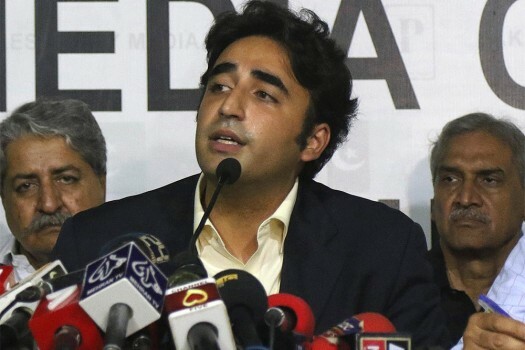 "Pervez Musharraf directly threatened my mother that the guarantee of her security upon her return to Pakistan depended on Bhutto's cooperation with the government," Bilawal said. The Pathan Suits: Can Imran Khan Lay A New Path For Pakistan’s Fractured Polity? Rawalpindi is seen to patronise him. 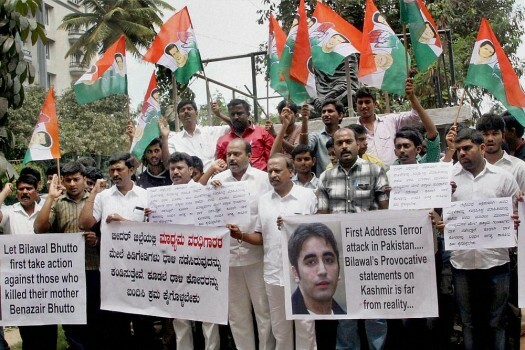 And it’s a conducive pitch electorally—even if Nawaz Sharif, playing the victim card, poses a threat from prison. But the pennants of Imran Khan’s PTI fly the highest. 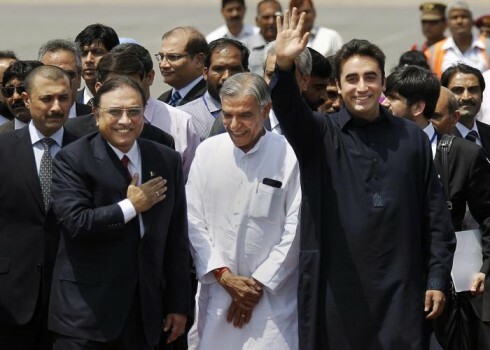 Can he lay a new path for Pakistan’s fractured polity? 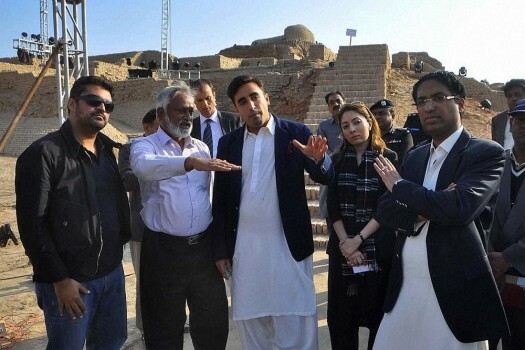 "We wanted to show our readers that Hina and Bilawal, though high-profile, are also human. 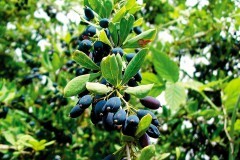 They too are looking for companionship."